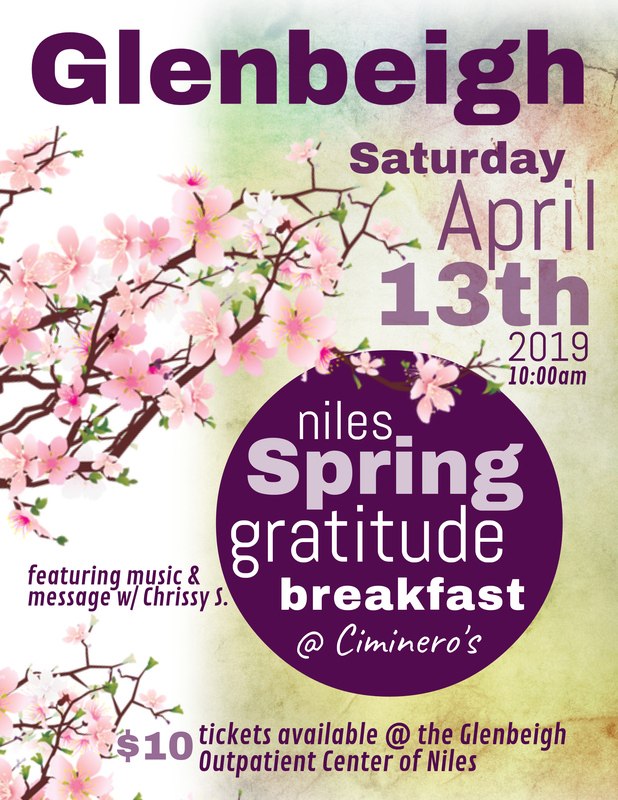 Featuring the music and message of Chrissy S.
Alumni, family and friends are welcome to join Glenbeigh for a morning breakfast recovery celebration on Saturday, April 13, 2019 starting at 10:00 AM. This event features great food, music and an inspirational lead. Start the weekend on a refreshing note. Chrissy S is in great demand and is returning to Niles at the request of people who've seen her perform in the past. Tickets are $10 per person and will be available at Glenbeigh's Niles Outpatient Center starting March 1st. Hear this month's Glenbeigh Speaks featuring Chrissy's story and music.